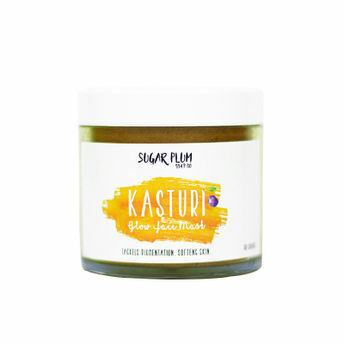 Infused with the soft feminine scent of roses, Sugar Plum Soap Co.'s Kasturi Glow Face Pack, is an instant solution to achieve a beautiful glowing skin. Formulated with pure natural ingredients such as rose powder, sandalwood powder and kasturi turmeric, this pack gives relief from sunburns, while keeping it fresh and smooth. It cools and soothes the body, while lending a beautiful glow. Rose is loaded with antioxidants which will prevent premature ageing of skin, while keeping wrinkles and fine lines at bay. 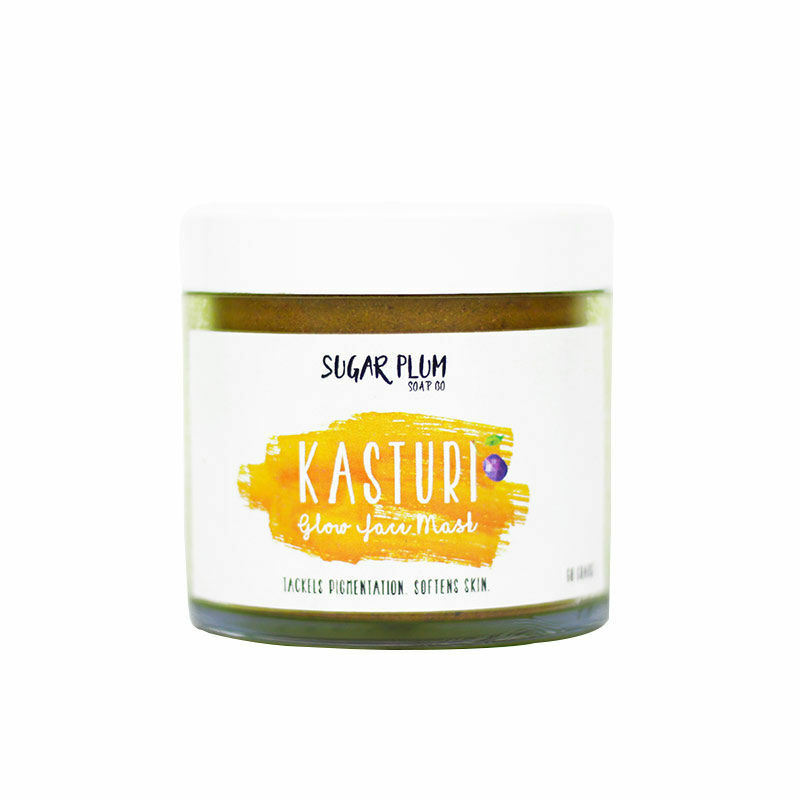 Sandalwood and kasturi turmeric brightens and lightens the skin and help fight free radical damage. This pack works wonders on hyper pigmentation, dark circles and pimples, making your skin look flawless and beautiful. It also moisturises the skin and gives you an even skin tone. About Brand: Sugar Plum Soap Co. is the brainchild of a soap maker, who believes that every handcrafted soap is a little piece of art. The Co knows that the attention to pure detail is required for each and every soap. That is why these gentle soaps are made in small batches. Sugar Plum Soap Co. soaps also retain the glycerin produced in the process, ensuring that their customers have the softest skin after using them. The Co not only makes a variety of soaps for different purposes, but also makes customised handmade soaps for its customers.